WELCOME TO TAKAMAKA PARIS ! Since 1994, our team of professionals, specialist in sports events, is carrying out your activities. We carry out your projects in Paris all year round ! 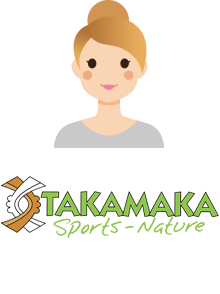 TAKAMAKA Paris is an event agency located in Republic. As an event specialist for over 20 years, our team of professionals has been hosting your Bachelor Parties, Teambuilding, Incentive,& Seminar with dynamism and originality for an unforgettable moment. Animated by a single ambition: Make you live exceptional experiences! Are you rather Bachelor Parties, Teambuilding, Incentive, Animation, Company parties or Work councils activities ? Our team prepares you the best in any case !